Tesla overtook General Motors during trading Monday to become the most valuable automaker in the United States, CNBC reported. The electric car company sold about 76,000 vehicles last year, a fraction of the 10 million sold the same year by GM. But Tesla's market capitalization, which is calculated by multiplying the total number of shares by the present stock price, hit about $51 billion, Bloomberg reported. That was about $1.7 billion more than GM, as of 9:35 a.m. ET. 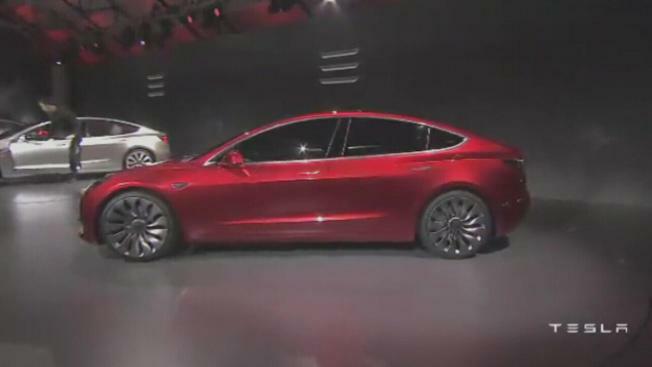 PiperJaffray analyst Alexander Potter said in a note that Tesla has a "captivating impact on consumers and shareholders alike" that will be difficult for competitors to replicate. Tesla shares rose more than 3 percent to reach a fresh all-time high of $313.73 in midafternoon trading Monday, after receiving the highest price forecast ever issued for the stock by an analyst at a major firm. The stock closed up over 3 percent at $312.39 per share.